Travis (Johnny Orlando) and his sister, Whitney, visit their grandparents for the summer and stumble upon the evil plan of a greedy land developer (Kelsey Grammer) to steal the land of the town’s longtime residents. 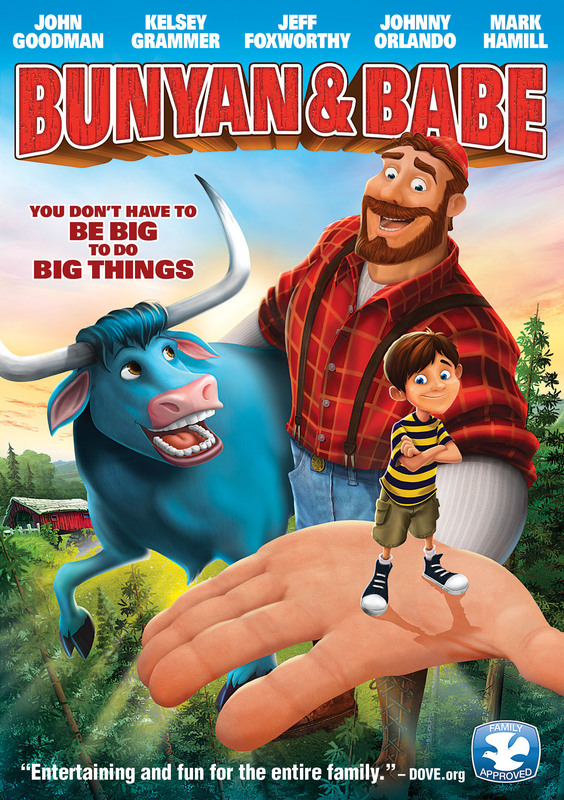 While running from one of the developer’s goons, Travis falls through a magical portal which transports him to the world of American hero Paul Bunyan (John Goodman) and his big, blue, talking ox, Babe (Jeff Foxworthy). Bunyan and Babe get wrapped up in a brand-new adventure, and with the help of their new friends, Travis and Whitney, they try to save the town. Together, they learn firsthand that you don’t have to be big to do big things.